I have taken the liberty of creating a short series including video tutorials and expanded transcripts that goes into some detail about how foreigner buyers can protect themselves in China. I don’t care if you’re dealing in Pakistan, Bangladesh or Taiwan it’s just so valuable to have the contract in local language. You may be thinking, “why can’t I put in the English language contract that English is the official language of this contract?” Sure you can, but this is what happened to me early on my career when I was using an English language contract in China. The Chinese supplier’s lawyer killed one year by debating every word in my contract, claiming the translation was not correct or not done right by the court appointed translator. So if it was in Chinese originally and the supplier signed off- meaning that they agree that this Chinese terminology is accurate- they can’t use the stall tactic of debating if your English language contract is translated correctly when it goes to court. Alright, I’ve said it twice so far in the series, and I’ll say it a third time because it’s so important. Please make sure that the name on your contract is the same name on the bank account, business license and ideally the factory gate. Have you heard about SupplierBlackList? There is a great website where buyers are helping each other by basically exposing suppliers that did them wrong. You know the open secret is that most of the mega website directories, they make their money from the sellers that list on those directories. So yeah, Alibaba and Global Sources do vet the suppliers on their directories, but a great supplier can go bad overnight. And at the end of the day, the suppliers are paying to be listed, so they have to be pretty bad to get knocked off these website directories. Since SupplierBlacklist is not making any money from the suppliers, they can just expose everything in an open way. Woman in the Audience: Can I register my IP in China on my own? Bellamy: In China you can’t register the IP on your own online, but it is pretty easy. You just need to engage a Chinese patent attorney. Someone that is authorized to submit these documents in Beijing on your behalf. They’re pretty easy to find and affordable- a couple hundred Australian dollars to register a brand. A bit more if we’re talking about a utility patent or other types of intellectual property. Woman in Audience: Why doesn’t everybody use Alipay and similar services to protect the buyer? Bellamy: Yeah good points, let’s take Alipay, I’m pretty sure there’s caps to how big of an amount you can transfer at any given time. In my experience, it is mostly used for buyers who are purchasing orders under ten thousand dollars. Once you get larger than that then you’re dealing with bank transfers and maybe even letters of credit. So while that service seems pretty good at protecting your money on small orders it’s not available for normal and large orders. Even if you are going to use those payment process facilities, it is still good to have a contract because it validates that the supplier understands your key terms. You might have a non-compete clause, you don’t want this supplier to sell to your competitor in New Zealand. So that payment processing is not going to have any protection for that. So the payment services you talked about, protect your money from disappearing but they don’t really help with the relationship with the supplier. It can’t hurt. Woman in Audience: I’m pretty sure my competitors back home are trying to reverse engineer my product and have it made in China. Bellamy: Maybe you’ve got a great Australian brand and you’re worried that this American with a lot of money is going to knock off your products in China or India. One way to stop them is, you’re going to register your product in the location where production is going to take place. And after your brand is registered you own the intellectual property you can actually go to Chinese customs authorities at the ports and say “this is my authorized supplier” and all other exporters are unauthorized products that should be confiscated and destroyed. If you want to shut down a knockoff artist who is cannibalizing your business, the best way is to hit them in the pocket book. So I would wait until your competitor places a purchase order in China and has paid deposits, so that they have money in the pipeline. Then work with the customs authority to grab the container at the port before it leaves China. It will mess up the competitors supply chain big time. Because no one gets paid when the goods are confiscated or at least help up at port, it really hits them hard and destroys their relationship with the suppliers. Especially if their supplier did not even know that it was a counterfeit product that it was infringing upon. Keep in mind that it costs less than a 1000 USD to register your brand and the cooperation of the custom’s authority is free of charge if you know how to go about it! Woman in Audience: I have been buying from China for many years. But I never got around to registering my brand. I want to change suppliers, but now I learned that the supplier registered my brand without telling me! What can I do? Bellamy: Yeah, now you got your hands full, you’re in an uphill battle especially if it was predatory where a supplier, and this happens a lot, registers your brand as a means of manipulating you. For example, Australian company does not register their brand because they say “hey we got the brand registered in Australia, we don’t sell anywhere else in the world, who cares about China”. Then your Chinese supplier registers that brand a couple years later. One day you want to switch suppliers and now you can’t export your product out of China with your brand on it because the supplier owns the IP. So if you are in that situation, then it might be best to go to dispute resolution. But manage your expectations, the law is clearly on the supplier’s side as China is a first to register rather than first to market system. Woman in Audience: I know somebody else owns the right in China for the brand for the item I want to buy, but I also know that the brand is not controlled by that party in Australia and want to produce an item under my brand in China to sell in Australia. Bellamy: Know that the Chinese party could stop you if they knew that you were doing it. Maybe they are not savvy enough to tell the customs authority that they own that brand. But if it is in the marketplace and they see that “hey, you’re doing a good job, making a lot of money, going to trade shows”. Eventually they are going to figure it out and try to stop you. Maybe you’d want to sort this out in advanced, either by changing your brand if you are a startup maybe or negotiating a solution. Lesson learned, it is a lot easier to trademark first and then the system is working for you. During my 20 years living in Asia, I’ve owned a number of different business entities in greater China, ranging from China WFOE’s to HK holding companies to service companies. I’ve represented fortune 500 companies as well as startups in their dealings with Chinese suppliers. In one of our recent busy years at PassageMaker, my team was responsible for sourcing over 200 million USD worth of goods in China. I was the point person for negotiations and contract review with the suppliers. I’ve taken Chinese companies to court (and won!) over disputes arising from poor quality, broken promises, pirated goods & late deliveries. The legal system has come a long way in China. Foreigners can get a fair shake if you know how the system works. This 90 minute video is an exclusive recording from a seminar in Hong Kong on the subject of negotiations with Chinese suppliers. A large portion of the video is dedicated to Q&A with the audience of international buyers. They may be asking the same types of questions you may be asking! The slides are show on the video, so feel free to jump around if you don’t have a full 90 minutes to spare. What are reasonable payment terms? Don’t be surprised if a supplier asks for 100% payment in advance. Realize this is negotiable, just as you wouldn’t necessarily accept the first offer of price without a negotiation. I have found that “30-40-30 terms” are often an acceptable middle ground on payment terms, fair to both parties. Under 30-40-30 terms, the initial 30% of PO value is placed as a deposit. This allows the supplier to buy materials and lock in the price (especially important if you have a long lead time or deal in materials which face great price fluctuations, or example metals.) The second payment, of 40%, occurs at shipping upon confirmation of quality. The final 30% is paid upon receipt and inspection at the final destination. Let’s look at this 30-40-30 from both the buyer’s and seller’s perspectives to find why it was an acceptable middle ground. The seller is worried that the buyer will default on payment, so getting 70% (40+30) before the goods leave port limits their exposure. As the average factory in China makes between 10 and 30% mark up, the 70% covers at least the majority of his internal costs, so even if the buyer defaults it won’t put him out of business. The buyer’s biggest concern is that the goods will have quality issues or not arrive at all. By holding out on the final 30% until delivery, the buyer has leverage if quality problems require re-work or replacement parts. It is also important to remember that the 40% is not paid until after the goods are inspected in China, so quality confirmation must be a key part of the payment process if you want to be safe. What should be included on the code of conduct statement for the supplier? Here is a sample Code of Conduct for your reference. I would advise you have it in Chinese if you’re dealing in China. How does China compare to the rest of S. Asia in terms of Social Compliance? Compared to the rest of Asia, the average Chinese factory is more developed in terms of infrastructure, regulations and enforcement. There are of course great suppliers out there in other parts of S. Asia, but the further you go from the developed ports of China, the harder it is to find factories that care about Social Compliance. Monitoring things in places like Pakistan and Bangladesh is a lot harder than in China. And China’s not easy. Why should I have a written social compliance program? God forbid somebody gets hurt or a banned substance is found in your product and the case goes to court. If you don’t have a written code of conduct and a file full of compliance records, the press and lawyers will eat you alive. They love it when they catch someone like that does not even have a system, because it’s so easy to put the blame on you, even if it wasn’t your fault. Unfortunately there is no standard for what that system should look like exactly. Should you audit suppliers every ten days? Or every ten years? There’s no standard. But at least if you have a written manual of how you are going to manage the code of conduct, ethics, sustainability and so on, if God forbids your product is picked up by the press, at least you’ve got some protection. Reality: The supplier’s “global coverage” doesn’t really have you covered! The supplier might say to you “don’t worry, we have global coverage for product liability”. But say some child gets hurt wearing your baby wear that you just imported into Australia. Is the Australian lawyer and the local government going to sue a factory in Bangladesh? No. They are going to come after you as the importer of record. 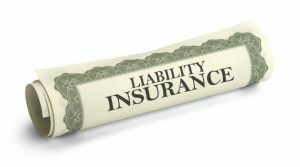 If you are a small company and just getting started are you going to spend a couple percentage point getting liability insurance? It’s your call- what do you have to lose in the worst case? If you are a start-up, maybe you want to “wing it” at first. But if you are a stable business, and you’ve got real assets and a reputation that you want to protect. Then you need to get serious about arranging your own liability insurance and more importantly putting a system in place to ensure the product is compliant in the first place. Reality: the contract by itself is not going to protect your idea. For example, how are you going to know if the manager or the owner or some employee at your supplier’s factory did not pass on your idea to his cousin that owns a factory across the street? Monitoring is possible, but difficult, enforcement is fairly straightforward and registering it is really easy. So take care of those simple steps first. Register your intellectual property in Asia, wherever it is being made, Taiwan, Thailand, Indonesia, and China of course. The good news is it is very inexpensive to register intellectual property. So if you have a brand name that you want to protect do so up front. OK, you have your IP registered, how to monitor a huge marketplace and keep an eye on my suppliers at the same time? There’s the expensive way where you hire an investigator to actually get a job at your supplier to monitor things from the inside. Where is your supplier going to trade shows? What does there brochure look like, not just their English brochure but also their Chinese and English catalogs. Are your products and your brands starting to show up there? When you visit the factory, say “I need to do some cardboard box testing, I need to make sure that these cardboard master packs won’t crumble under a drop test, is it ok if I take some pictures and measurements in the warehouse? What does the warehouse have to do with IP? When I get into the warehouse of a supplier, I’m taking a picture of all the master packs which usually have the name of the importer, so the Asian supplier would write down “this is made in China for ABC importer Australia under whatever brand”. So I’m in there dropping boxes and taking pictures under the disguise of box testing, when in reality I’m really just cataloging who the supplier is doing business with. Then I go home and get on Google and figure out who is my supplier selling to. And if it turns out to be one of my competitors, thus breaking the contract…then I know who is being naughty and I can take action. 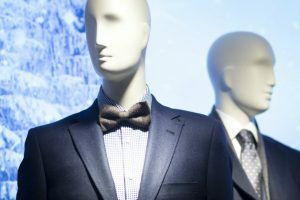 There are many inexpensive ways to monitor the marketplace for counterfeits and unauthorized sales. Just go to Taobao.com. This is a website where Asian suppliers sell things out the back door of the factory. Let’s say you rejected an order because of minor defect. Believe me they don’t just throw it away and scrap it, they’ll sell it on the gray market (unless you have a mechanism to prevent this). Taobao is a great place to see if your product is being sold out the back door. Don’t walk around the trade show with all of your secret sauce and give it to fifteen suppliers in exchange for fifteen quotations. At the end of the show you will pick one supplier to get the order, but what about those fourteen other suppliers? So be careful with your idea, to get the quotation process going, consider using a “representative product” that is something similar to yours but doesn’t expose any secrets. Maybe it’s your competitor’s project. If you don’t have any intellectual property as a barrier to entry, it’s one thing to force your competitors to try to replicate what you’ve done, it’s another thing to have your supplier knock you off. It much easier for the supplier as they have already been trained up on production- at your expense! “Black box manufacturing” is a tool for keeping the sub suppliers are arm’s length from the finished product by using a trusted 3rd party to conduct the final assembly and packaging. Let’s say the secret sauce is a cool new band made of silicon with a special logo. So in this case, the silicon band comes from one supplier, the packaging from another supplier and the watch mechanism from a third supplier. And behind closed doors at the black box, the 3rdparty put things together, puts the customer’s label on it and sends it to the customer on Amazon, or wherever. So if your product can be compartmentalized, then there are ways to physically protect your ideas. And it’s not enough to state in a contract/PO that the agreed spec is based on the pre-approved golden sample because a physical sample can be interpreted in many ways. If you take any two items and look close enough, there will be some type of variance in some aspect. You may look at production parts and say it is “not per sample”, factory may look at same production pieces and feel that it is per sample. “Made to Sample” leaves far too much room for interpretation. It can’t hurt to have a mutually agreed reference sample. But it is even better to have a well written QC check list that details every important aspect of what is important. Your inbound QC should be the same as factory’s outbound QC. Share as much information as possible so they know exactly what you want. Since a QC check list is a written standard, you can make his check list part of the actual contract or PO. Even better than saying “production much match the golden sample” is saying “production must match the golden sample and confirm to the agreed QC check list”. You are also wise to use a 3rd party to check the QC to confirm the factory actual made what you asked for as agreed in the contract. Structure your payment terms so that payment and QC are linked. You may need to give a deposit to start production, but don’t make the remaining payments until you or a 3rdparty has done the pre-shipment inspection. As buyers we need to be professional in our ability to create a written standard for our expected quality. The ultimate goal is NOT to have defects and the best way to avoid defects is for the factory to have a crystal clear understanding in terms of what is your standard and how to inspect for that standard (including what tools and techniques are required). For example, if you are buying red umbrellas, it is not sufficient to say “my standard is a red umbrella”. The inspection protocol should also be well defined. For example, umbrellas are pulled from the line at random per AQL level 2, inspected against agreed counter samples, held at arm’s length under natural light. Any China sourcing veteran will agree- if you don’t put down in writing a scientific and repeatable inspection process for the key aspects of your product, there is a high likelihood you will get exactly what you didn’t want. To see how a professional contract manufacturer lays out the internal inspection standards for inspectors and workers on the line, visit PassageMaker’s Product Quality Manual. As a general rule, the buyer should write the product specifications pretending that the supplier is new to the industry. Really “spell it out”. What happens when you have quality problems? In my 20 years of working with suppliers in Asia, I’ve had lots of missed lead times because of quality problems. But in all those years, not once have I had a supplier say to me “Mike, we missed the lead time by about a week, let us pick up the FedEx charges to send the replacements to Las Vegas.” Not once. Until I started putting in my contract, if the lead time is missed by X days I get X discount. And my answer is always pretty much the same. “Mr. Wang, sorry to hear about that and luckily I knew that this might happen because it’s close to Chinese new-year so I built in a two week window or padding with my costumers but more importantly I’m so glad that we have this contract in place because we could really use that five percent discount, so you take your time I’ll give you up to 14 days to ship out.” What happens next…it magically ships out the next day to avoid the discount that is applied for each day late! Because the penalties were pre-agreed, Mr. Wang can’t renegotiate at the 11th hour. Don’t break the terms of your own contract because that leaves the suppliers an open door. Let’s move on to some of the questions you should be asking if you are thinking about suing a Chinese company! 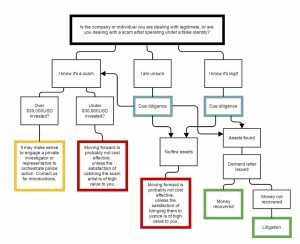 The following flow chart (compliments of AsiaBridge Law) will help you determine if you should walk away, conduct due diligence, issue a demand letter or go right to court. If over $30,000, it makes sense to engage a private investigator. Most law firms don’t provide this service, but I would be happy to make introductions for any readers who need an investigator. If under $30,000, because of the costs involved to retain the services of an investigator, may not make economic sense to move forward. But if you are looking for a moral victory, the investigators are willing to help on any size project, so long as their fees are covered. If it’s a legit company, your lawyer will ask you to send the key documents and they will conduct an initial review then offer a quotation for their service. If you are not sure if the individual/company is a scam or legit, due diligence can be conducted to confirm. Quotation and Service Fee presented by lawyer to client for review. Upon receipt of signed service agreement and payment, the project officially starts. Client updated on results. Project completed. At the law firm where I serve on the board of advisors, 30% of cases are closed to client’s satisfaction before moving to litigation. The most effective technique involves a well-crafted demand letter from the law firm followed by a phone call. Both are done in Chinese from a respected Chinese lawyer. Litigation in China is actually fairly straight forward and affordable compared to the US and Europe. Overseas companies can indeed win against local firms and individuals when they have the right lawyers and a solid case. It is important to find a local lawyer who understands the nuances of the legal system of the particular jurisdiction (at city or province level). Perhaps even more important is to be well prepared in advance. Lawsuits are quickly settled when you can show the court Chinese language contracts which included pre-agreed penalty clauses. Overview of the situation including the root cause of the conflict. If you have a strong case, project moves to step two. If you have a weak case from a legal perspective, the honest lawyer will offer opinions on your best next step. The unethical lawyer will charge you for a court case he knows you can’t win. In addition to a moral victory, most plaintiffs also seek financial compensation. Specialized 3rdparty investigators are engaged by Lawyer to discreetly obtain information about ownership, assets and financial status to help determine the defendant’s ability to pay damages should the plaintiff prevail in the courts. If the defendant is not in a position to pay damages, going to court may not prove cost effective and the lawyer will offer opinions on your best next step. If the defendant is in a position to pay damages, and the case is strong, the lawyer will offer a detailed proposal outlining the plan for litigation and costs involved. Keep in mind that a demand letter or threat of court action can lead to a complete communication breakdown. Once this letter is sent, walls are put up by the subject company and getting to the facts of the situation becomes very difficult. In many cases they simply stop responding to your emails and “call you bluff” if they suspect you are not willing to go to court. A demand letter template adjusted by you (rather than a lawyer) is not going to do much good. If you want to go down that route, you need to get an English speaking Chinese based lawyer involved so that they at least understand the basics and can prepare a logical argument in the form of the letter addressing what the target company has done and what remedies are requested. If you cobble together some thoughts of your own using another company’s template, and even if translated into Chinese, the target company will most likely sense that you are bluffing and know that you have not actually engaged a law firm to support you. In my experience, the drafting of the letter is not very expensive, and if your situation is cut and dry, then it won’t take much time for the lawyer to get up to speed and that keeps costs down. Some people think they can use a US based lawyer to scare the Chinese company into corrective action. The only person that benefits is the US lawyer. They get paid to draft a letter that has next to no impact. Chinese companies know that a US lawyer and even a US court has no authority in China. So don’t waste your money with that route, in my opinion. Considering listing bad companies at Supplier Blacklist to expose their poor performance and warn others. At least you can get some emotional satisfaction now, even if it takes some time to get your money back and catch these crooks. Tips & best practices to ensure you are well positioned if you have a dispute with a Chinese supplier. If you have the following items in place, then there is a decent chance of negotiating a resolution that is acceptable, and you may not need to go to court. A signed / chopped contract that clearly defines what is the acceptable level of quality. A clear paper trailing showing proof of payment. The seller named on the contract matches the receiver of the payments. (With so many trading companies out there it is a common mistake to have a contract with a supplier but pay a trading company!). Your supplier has physical and financial assets (small “one-man-bands” disappear as soon as they feel a lawsuit is on the way). The jurisdiction on the contract matches the location of the supplier’s assets at a city, province or country level. It is always nice to have future orders you can leverage as well. Also, before placing the PO did you or a 3rd party do an audit / due diligence at the factory to confirm they were legit. If yes, please keep that report on file as you may need to refer to it later. If you answered “no” to the questions about audit and inspection, please slap yourself hard on the wrist and pray you have not just learned an expensive lesson. And shame on you as 3rd party Audits (and even Due Diligence) are readily available and affordable. That’s part two in the books. If you have any legal issues that need litigating in China please feel free to visit AsiaBridge Law. If you are asking these kinds of questions, then this blog post is for you! During my 20 years living in Asia, I’ve owned a number of different business entities in greater China, ranging from China manufacturing WFOE’s to service companies. Despite our best intentions with our Chinese business partners, sometimes disputes escalate and we look to the legal system for resolution. I’ve had my share of success as well as failure in the China courts, and in this blog post I’d like to share some of the key lessons, pitfalls and best practices that I learned along the way when dealing with the local police, local lawyers, local courts, embassies and business associations. Unfortunately there is no Better Business Bureau in most parts of Asia where you can take your grievances. So you can cross that one off your list of options. You can try to contact the Chinese embassy in your country, but in every case I have witnessed in the past 20 years, they will give some excuse why they are too busy or why they aren’t the right people to help you. Basically, they are so overwhelmed with requests like yours that they can’t possible get involved unless the loss is massive, like in the millions of USD. Most likely the embassy will suggest you contact the police in China. 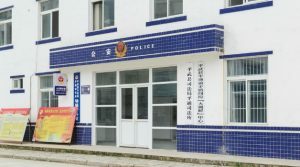 Unless you have a very clear case and concrete proof of illegal (not unethical) activities, the police in China will most likely say they can’t help you. If you are lucky, they will ask you to file a report, which must be done in person. That means you fly to China or appoint somebody. If the target company has not disappeared and is a real company with real assets, you may have a chance to work with the police and/or have a local lawyer issue a demand letter. But if you aren’t based in China, realize you may need to appoint power of attorney to a local representative. If you do end up working with the police, it may help to engage a private investigator. I’ve had success using a 3rd party to collect all the facts and present to the local police. Basically I paid for my representative to do the “police’s work for them”. Investigation can cost 1000’s of USD per day, but if you have a large case and the ear of the police, it may be worth it. Depending on what county you are from, your Embassy in China may be a bit more helpful than the Chinese Embassy back home. I’m sure they also get lots of mail from companies in situations like yours. Most of the time they will suggest you contact the police and they may give you a list of lawyers and some English speaking Chinese government offices that are, in theory, supposed to help you. So it can’t hurt to contact your Embassy. But unless your loss has political implications or is very large, I would not expect the Embassy staff to lead the charge to get your money back. Q: If the embassy and police can’t help, where do I turn to for support? A: Consider engaging a local lawyer to issue a demand letter and explore litigation if necessary. In China you can sue for lost revenue caused by the subject company’s poor performance. In most countries you can only sue for direct damages. So you go in asking for a big number, and then negotiate down to something that is still acceptable. KEY POINT: Unlike most other nations, in China you can sue for lost revenue. Let’s say you are buying from a Chinese factory and selling overseas. Since the price you sell to your buyers is certainly much higher than the price you pay to your suppliers, your demand letter can “swing big” and put the fear of God into a supplier. But there is one potential road block. If the subject company is a scam, meaning not a real business…just some guys pretending to be a company, then a demand letter doesn’t have much impact. The subject company needs to be legit with assets to lose for a demand letter and fear of the law to have effect. If you are sure the seller is a real company, then you can skip the initial due diligence. But if you are not 100% sure, then I would recommend the initial due diligence first before spending money on the letter. That is it for the first part of this two part series. My next post will help you determine if you should walk away, conduct due diligence, issue a demand letter or go right to court. Welcome to part two of ‘The ultimate guide to protecting intellectual property in China‘. In my last post I walked you through registering your IP and some ways on how to limit the exposure of your products to keep everything under wraps and protected. This time around I’m going to go into more detail about what you can do to limit your exposure, how to go about monitoring the safety of your IP, and enforcing it. Let’s get right to it. You definitely need to have a balance here. If you have too much leverage, the ups and downs in your product cycle could really affect them adversely. My rule is to represent 20 to 35 percent a factory’s output. If you can become that volume for a factory’s output, so you represent 30% of their output, you’re not too big and not too small, they would really have to think twice before compromising your intellectual property. If you get a price from a really professional factory that’s low, there may be a reason that the factory wants to entice you to do business with them. Sometimes they really want to get your business, and sometimes they want to learn about your new design or product so they can make it on their own. It is important that you do your homework and that you are paying a reasonable price, not too low and not too high. You might have a great contract, you might get the factory ownership to sign up that they will never do business with your three competitors, the factory owner that signed it may actually believe that he wants to follow the agreement, but what about the other 15 people on the sales department or the engineering team? Inevitably, if you have a really cool product being made at the factory, somebody from the sales department may scheme that they have access to a really cool product, decide to put it in their suitcase and take it to a trade show, or take pictures of it and put it on their website. Even if you have the greatest contract explaining ‘DO NOT SHOWCASE MY PRODUCT’ clearly under the contract of the supplier, there’s still a likelihood that your product will find its way into the public domain. Whenever I have that type of relationship with the factory where there’s an agreement in place, I monitor it. Ask any supplier, “Hey, which trade shows are you going to?” They’ll be so happy to tell you because they think that you’re going to come to their booth. You can write this information down, then you or your friends can walk by the booth to see if your product is for sale. If you’re visiting the factory, look in their showrooms, look on their website, check out their tool room, look in their stock room. You can learn a lot in a warehouse of a factory, because on most boxes it will say the end customers’ location and brand name. So say you have exclusivity where you tell the factory “You better not be dealing with any other American customers Mr. factory. I don’t care if you sell to Canada, or Australia or UK, but I’m your only American customer per contract,” and then you go in the store room and you see Walmart USA all over the boxes that they’re shipping, it’s a red flag that somebody in the organization is disrespecting you. You don’t necessarily want it to appear that you distrust the supplier or you’re snooping around, so you can do what I like to do, which is tell them “Thanks for the tour. While we go through the warehouse do you mind if I take some pictures? I’d also like to test the thickness of your cardboard. Do you mind if I take these samples of cardboard and do a little stress test?” I use this all the time! In reality my co-worker is taking a picture of me by the boxes that says Walmart USA while I’m pretending to do a stress test to get a close up where it exactly it’s shipping. So get yourself in the show room, the stock room and the tool room and look around diplomatically. So trust, but verify. Taobao is like the number one back door channel where factories sell product without you knowing. It’s all in Chinese, but you can do a keyword search on taobao.com and have someone that is Chinese do a search and find out easily if they’re an approved vendor of selling your product out of the back door. When I had my second child, I used taobao and I saved so much money buying the European and Japanese brands of cribs and really high end stuff like clothing for children and everything. It was all from the actual factories in English packaging and no Chinese on it. It was literally from the authorized factory, but someone decided to make a few bucks off of the factory by selling excess stock out of the back door. Now you might say no harm no foul, but what if I decided to buy 5000 units of the product that you just made with the factory of off taobao, and now I’m going to sell it pre channel into your market, that could really hurt! So keep an eye on taobao. Another way to keep an eye on the factory’s honesty is to pretend to have a friend of yours play the dummy customer where you write, email or call the factory and you say, “Hey, I heard you are making xyz product, I don’t know if you’ve done it before, but do you think you could make this watch for me?” If your friend is actually asking them to make your watch, and they say yes, that’s a very bad sign. I don’t want to scare you away, the vast majority of suppliers are honest to deal with, as I have said before some of these suppliers are like family members to me, but you have to assume the worst and monitor them accordingly. They are under so much pressure to make money, the sales person works on 100% commission so they are so aggressive when it comes to getting new business, and this concept of respecting intellectual property, I don’t know if it is Confucianism, communism or a lot of people crammed into a small place with a lot of energy to make money, but the concept of what it’s in personal space and what’s in a public domain is very much blurred in China, so even if you think it’s clear that you own this technology, a lot of supplier may have different impression on what is in the public domain. If you monitor your IP and you find that there is a breach of contract, don’t just say, “Whatever, it’s China, there’s nothing I can do about it.” 15 years ago, that’s what I said, but things have changed so much after China joined the WTO. The courts are becoming much more of a level playing field. You can issue a demand letter, just don’t issue a demand letter in English from your lawyer in New York, the suppliers are going to laugh at that, but if you get a local Chinese attorney (they are becoming more and more affordable) to issue a demand letter politely explaining that if they don’t come correct there might be a litigation you will see that we can litigate in china. Foreigners can even investigate, so things have changed a lot, it’s a level playing field in terms of our ability to enforce contracts. To show you how level of a playing field it is, I was involved in a case where it wasn’t IP infringement, but it was like a wrongful termination of employment situation or something like that, where clearly the employee did a bad job and should have been fired, and the employee said that I needed to pay him severance. I wanted to know what we were getting into so I went to the court just to see how this process works. I was kind of in the neighborhood so I didn’t even bring a lawyer with me. It was all in Chinese, and I think they were surprised that some foreigner showed up and asked how the Chinese court system works. The girl at the front desk asked if I wanted to meet the judge that was handling my case? I said yes and sat down with them and the judge let me explain the case. After having my say the judge called up the defendant and said he thinks the defendant would lose the case if it came to court, and that he should settle right now. I don’t think that will be legal in the US, and it certainly doesn’t happen in the West, but in china that judge had so many cases on his docket that he just wanted to get things moving. I had good contracts, they were bilingual, I was a nice guy, and he went out on his way to make sure I was protected as a foreigner in China. Don’t think that the courts are biased against you, they may say that because they didn’t have their contracts in place, they didn’t have their contracts in Chinese, they tried to enforce their intellectual property after it was ripped off, and they didn’t bother to register it in the first place. In those cases you will find yourself fighting an incredible uphill battle, but if you apply the tips that I’ve shared with you in terms of having proper bilingual contracts, a contract stating a penalty if its broken, you’ll make it really easy for the judge to lean in your favor. That brings us to the end of this ultimate guide to protecting intellectual property in China. If you have any questions pertaining to anything I’ve said above, please feel free to drop me a comment below. How do you avoid having your ideas compromised? In my experience, you come at it from four angles. Obviously, first register your intellectual property. If you haven’t registered your brands (or anything that is patentable) in China you run a huge risk of not protecting your IP. In China, it’s first to register rather than first to market. That means that if you show me this cool idea that you have at the trade show but you haven’t registered your logo, I can go to Beijing now and pay a hundred bucks and register it. Now, according to the Chinese government I own it, so be very careful on who you share your ideas with! The good news is that it’s very affordable and easy to register your brands and patents in china. Nowadays there are plenty of English speaking lawyers in China that I can introduce you to that I work with, and they are even less expensive than doing it back home. Register your IP not only at the government, but also with the port authorities. For example, if you are dealing with a product that has Disney licensing, technically the port authorities should be checking if it is a licensed exporter before the goods go out. Even if you’re not Disney, you can still get your product as a registered brand, and believe it or not because the Chinese know that they’ve had a black eye for IP infringements for so long, they’re going out of their way to enforce these issues. So let them do their job! If it belongs to you let the courts work for you in China, and don’t forget to tell your supplier that not only does this brand belong to you, but it is important that they don’t do business with other companies or other brands. A lot of times we register the product, but we forget to explain to our supplier why is it important that they don’t do business with these five other competitors. So I’ll talk a little later on how to make that stick, but don’t forget to at least tell your suppliers what’s important to you about respect of your intellectual property. I have a good friend who is a Chinese factory boss and I went to his factory one time and his R&D department said R&D on the outside, it was a nice little office, so I went inside, and there were no employees or computers, it was just a room with some dust on the floor. But, he always had really great ideas and the coolest products and I asked him over a couple of beers one time, “Hey, how do you come up with all these great products and there’s no one in your R&D department?” To which he replied, “Trade shows.” “What do you mean?” I asked him. He went on to tell me that often visitors to the trade shows are under a lot of pressure to find a factory. So they come with all their ideas, their blue prints, their counter samples and they give it to fifteen factories and maybe do business with one of those factories. What about the other fourteen factories? Now they have your idea, they have the specifications, maybe they really like your idea, so much that they want to copy it. My friend’s trade show booth was not necessarily to meet new customers, but it was to see what new trends are out there, copy those and get it to market before that person who was coming to the trade show gets it to market. So, how can you avoid that? Once you’ve gone through all of these steps, then you let them see the secret sauce. Take it in steps. Now, once you get to the production phase, you also need to be careful, especially if you’re dealing with a sub-supplier, or traders. You need to consider who has access to your technology. If you’re a new brand, and you’re working with a company but they won’t let you visit the production site, that’s usually a red flag that they are a trading company or a broker, and they don’t own that factory. Well, who is that factory doing business with? If your manufacturers are dealing with your competitors, your ideas can get stolen really quick. If you have sensitive intellectual property or even brands that you want to protect, you need to at least have a plan before you go out there and start sourcing. One of the areas of business that I am in is ‘Black Box manufacturing’. Let’s say that you have a really cool band, but the mechanics are off the shelf. Continuing with the example of the watch, essentially, you would send us the band from the band supplier, the hardware from the hardware supplier, the clasp and the mechanics from another supplier, and then behind closed doors I have a hundred employees that kit things together. That’s black box manufacturing. This is one way you can be strategic about how you compartmentalize the products so that the wrong party doesn’t see the whole thing. If you’re dealing with proprietary items that are custom made, consider owing the tooling. For example, maybe to get your watch band in the the shape that you want, the factory needs to have a certain type of compression tooling or mold to make it. You might go on to tell the factory that since this equipment is being used exclusively for my product, I would like to own it outright. This way if anything goes wrong with the supplier, you can pull it (maybe you won’t be able to move it quickly to another factory), but at least you’ll have stopped the poor performing factory from replicating your product easily. When I’m doing custom products I write up who owns the tooling in my contracts, and that’s a contract separate from the actual production order. That’s it for the first part of protecting intellectual property in China. 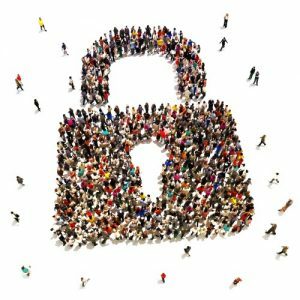 Next time we’ll take a look at more ways to limit your exposure, how you can go about monitoring the safety of your IP and enforcing it. Many of us are lucky enough to have engaged great lawyers back home who have successfully guided our domestic businesses over the years. But now that you are going global, are you sure your domestic lawyer has the China chops to guide your international business as well? Obviously, doing business in China is radically different from conducting business in your home country. To illustrate that point, in this blog post we’ll offer an inside look at some “China issues” that hometown lawyers often get wrong. A professional, experienced China-based lawyer will understand in great detail each of the points below. But the typical hometown lawyer, and maybe a few readers, will be left with your head’s spinning after reading this blog post. You have been warned…. Issue 2 – Q: My Chinese supplier say’s they have me covered if the product I am buying from them hurts somebody. Am I safe? Domestic lawyer’s (wrong) answer: “It says in the contract with the supplier that they will cover you, I guess we are safe, plus the jurisdiction of the contact is in our home country so we can easily take them to court if needed. And it’s in English which is good for us.” Wrong, Wrong, Wrong. Unfortunately, it is very rare for a Chinese supplier to actually have coverage for liability in the USA or EU for example. Even if the factory finds a way to get liability insurance, if God forbid a child in the US gets hurt on your product or there is a recall situation, the US lawyers aren’t going after an overseas supplier. They will come knocking on your door as you are the importer of record and it is your responsibility to ensure the product is safe and compliant with US standards. And it will be another fight all together for you to deal with the factory and their insurer to try to get compensation out of them. Make sure the designs are fully compliant and you don’t have a safety issue. The major labs can do the testing and give you piece of mind. Contact the author if you need an introduction to a design firm. Learn more about the key steps of product certification and compliance here! In my experience, for most cases, putting the jurisdiction in China, where the assets are found is the best option IF the contract is well written! Do you have any legal issues in China that you need help navigating? Find affordable legal help here! Many Chinese companies have various English names for marketing purposes, but their legal name is in Chinese and found on the business license. The only language allowed to use in any Chinese court is Chinese. So the English name, or whatever they call themselves for marketing, is not an official name. You can’t sue some company named “Best Good Star Mfg.” in China. But you can sue “最好星有限公司”. If your key documents are in English, it complicates things a lot. For example, before the courts can make a decision, the English documents/ supporting evidence will need to be translated into Chinese by a court approved translator for the court’s review. This can be expensive and very time consuming. Plus the defense can employ a stall tactic of fighting over the wording of the translation itself. It’s much better to have your attorney structure the wording in advance in Chinese rather than hope the court’s translation will be accurate. That’s it for this post. Stay tuned to our China Law Blog for regular updates on navigating legal issues in China, and avoiding them before it’s too late!